Grilled rolls make the perfect wraps for a delicious summer meal. Spray counter lightly with non-stick cooking spray. Roll each dinner roll into an 8 inch circle. Cover with plastic wrap and let rest for about 20 minutes. In a large bowl, combine the chicken, mayonnaise, vinegar, sugar, sesame oil and mustard. Fold in the cashews, green onions, half of the oranges and the cabbage and mix well. Salt and pepper to taste. 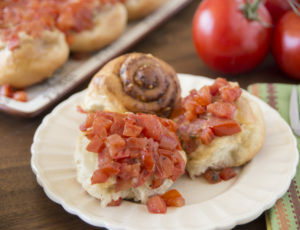 Remove wrap from flattened rolls and cook on a grill heated to medium heat and brushed with olive oil for about 1 minute each side. Remove from grill and cool slightly. 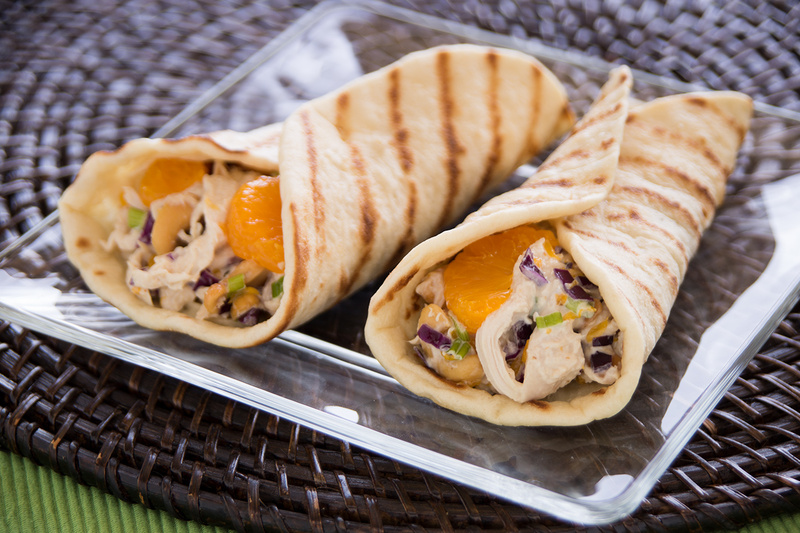 Divide chicken mixture evenly between the wraps and garnish with remaining oranges.